These photos were taken on 7/23/15 at 4:40 AM. The location was in an upscale hotel in the Georgetown Section of Washington DC. The "Take It!" came while waiting for a hotel clerk to post the items I was seeking. While biding my time, I happened to do the casting of the glance toward this particular wall that used to have a huge blow up of a photograph of a person that I did not think was the right thing for a general audience. The photo may have been just right for someone's home and hopefully that is where it possibly wound up. 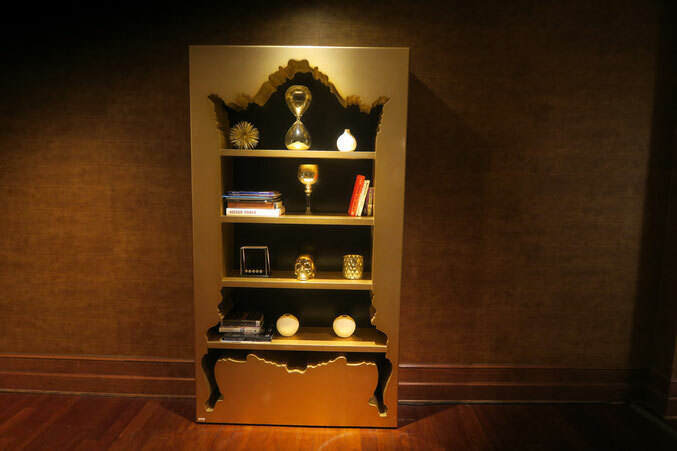 What had been put in its place was this set of shelves that has a cut out face upon it that is an outline of a very ornate display case, or possibly a dish cabinet from a bygone era. The mashup of this face with a standard bare bones set of shelves was quite eye catching. The After Take: Had me wondering which came first? The idea for the set of shelves or the cool collection of items placed upon the shelves. 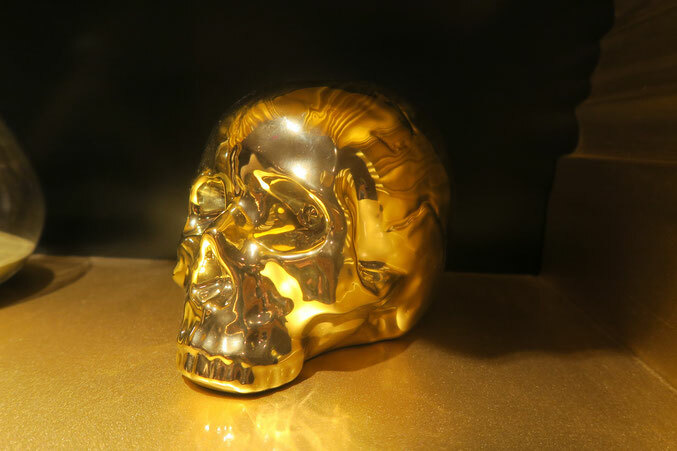 The gold plated human skull with its great reflective gleam, seemed to draw my eyes to it almost immediately. I had never seen a skull with this type of finish upon it. 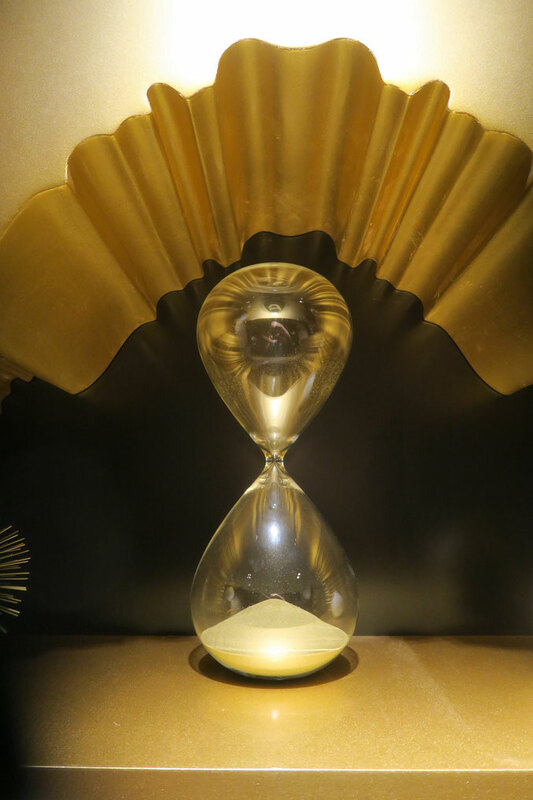 The Hour Glass with the sand having been " Free Fall Frozen " was also a show stopper for me. There are other fascinating items that I will visit on a frequent basis as this hotel is one of our " Regulars "
Here is hoping an unexpected delay in your day gives you opportunity for a discovery of a treasure that has long been in plain sight. The whole set up is gorgeous but the hour glass is just spectacular! Man that skull would fit perfectly in my garage. The whole thing looks very apothecarium to me, very cool. That gold skull is epic!!!! Taylor told me to check this one out cuz I collect skulls. He wondered if I had one like this and after looking at it I can say.....almost. I have a gold skull but I think its a bit smaller.